In April 2017, the Apprenticeship Levy came into effect and started shaking up the world of training, education and recruitment in the U.K. Yet, many companies are still struggling to understand levy requirements and how to fully utilise the opportunities it brings. For some, however, the levy is working. The DfE reports that there have been 67,200 levy-supported starts so far. The new system is helping develop or reinforce apprenticeship programmes that meet business goals; ensuring funds are flowing, teams are growing, and the results are showing. But what does it take to get there? How can L&D teams overcome resistance and challenges in order to truly leverage the levy? Invest time in how to spend the levy - and make sure you spend it! Less than 2% of employers in England are required to pay the levy, according to the DfE. They also expect the levy to generate £2,675 million each year towards apprenticeships. That’s a lot of money from the predicted 19,000 companies paying the tax. And for some, the costs associated with setting up and maintaining apprenticeship programmes – in terms of time, salaries, resources and administration – don’t outweigh the benefits of absorbing the tax as just another cost. possibilities of the levy. Companies need to cast a wider net when considering where to invest the levy. Apprenticeship standards are continuously being developed across all sectors, levels and business functions, so the opportunities to explore new territories and expand markets are endless. When mapped properly to business objectives and plans for future growth, the levy is a ladder that just needs climbing. Spending for the sake of it is also a concern. “As a not-for-profit organisation, we have found the levy challenging,” says Katie Rankin Qualifications and Apprenticeships Manager at housing and care provider, Anchor, which was the Silver Winner of the 2017 Apprenticeship Programme of the Year Award. “With the majority of our workforce working in adult health and social care roles, the funding available for these qualifications would mean that we would need to triple the number of apprenticeships we deliver as a business in order to fully utilise our levy, which we feel could reduce the quality of the programme, and which is held up for its strong support structure. We are now looking at how we could utilise the levy to support other L&D programmes across the business, developing existing colleagues,” says Rankin. Employers with a fear of wasting the money would do well to invest in an audit of their workforce development strategy and try to utilise the levy instead. Ian Taylor, Managing Director of the Education and Skills Partnership (ESP) says: “Analyse your business and identify the skills gaps, then your aspirational needs, then your ‘like to haves’ – and utilise your levy in order of those priorities. 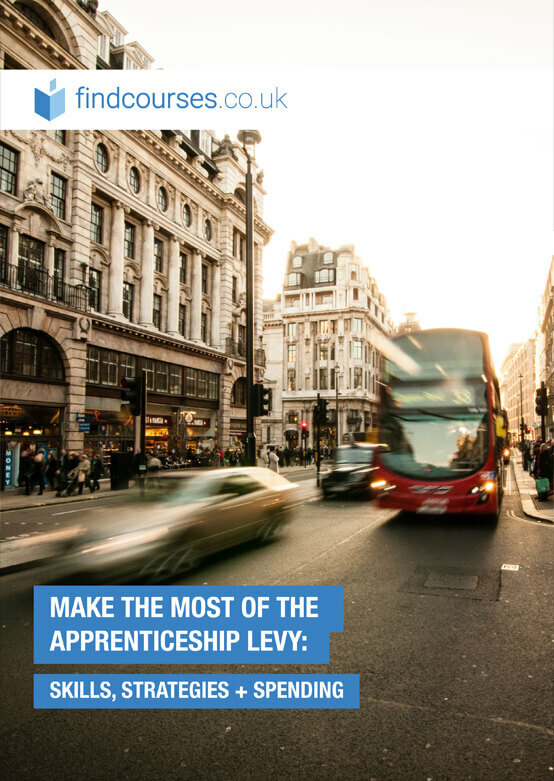 The levy can be used as a motivational initiative to develop and retain existing staff and take on apprentices for specialist roles that haven’t been considered. “Think about maximising on your levy by reinvesting in your current workforce to fulfil an organisational need through conversion,” says Ali Thomas, Museum Volunteer Engagement Manager at the Natural History Museum in London. “Look at your employee engagement surveys and staff development plans to find the gaps/priority areas, and build or refresh the skills of your workforce. Your staff will value the opportunity if they have been in post for a while and appreciate the development during a time of political and economic uncertainty,” says Thomas. From April 2018, employers will be able to use their levy funds to support other employers and transfer funds between organisations. Levy funds expire after 24 months, and while there are obvious risks associated with unwise spending, carefully considered investments ensure this money doesn’t go to waste. reform is to standardise skill levels within different sectors, in order to meet industry and employer needs, and improve the quality of apprenticeships as a whole. Apprenticeship standards – which outline skills and learning objectives apprentices will need to follow – are being designed and developed by employer groups known as ‘trailblazers’. Your apprentices will therefore be following a carefully developed outline of required knowledge and skills to meet the level and industry of the apprenticeship they are taking. The quality should not be compromised as long as you choose a suitable training provider and develop a strong internal programme for your apprentice. 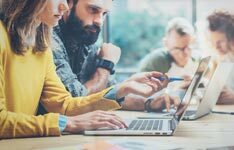 The biggest challenge for L&D departments is to make sure they take on the right people who can thrive under the new apprenticeship standards. As Sneath suggests, reach out to universities, colleges and schools ahead of your recruitment activities, and build relationships that can help you attract the right talent for your organisation. Invest real time into your apprenticeship specifications, working with managers to focus your ideal candidates – whether internally or externally – to ensure the apprenticeships have the best possible chance for success. It’s also crucial to get your entire organisation on board to ensure the importance and value of apprenticeships is not only understood, but specifically supported in terms of quality and long-term performance. Of course, this starts with top management. Getting your company behind apprenticeship schemes is critical from the very start of the process. Sneath says: “You need to ensure that the initiative has full buy-in from all senior stakeholders including top level management.” But how exactly do you do this? Rankin discusses: “If you can demonstrate the business benefits apprentices bring and make the programme a success then you will gain strong business buy-in into the programme. So it all comes down to demonstrating ROI and answering business needs. Prove the value of apprenticeship schemes as per other company L&D initiatives, through employee retention and satisfaction rates, growth percentages and performance output. Set qualitative and quantitative objectives, and provide measurable progress updates towards meeting them. Offer apprenticeship programmes as a way to meet business objectives and answer skills gaps. Educate your company. Help your entire organisation understand that apprenticeships are a long-term investment, just like any other workforce development programme. Sneath says you need, “a passionate, supportive and focused team internally to enhance the apprentices’ development,” which will, of course, pay off for everyone in the long-run. Address management concerns through pilot schemes to test the waters and don’t put all of your eggs in one basket. Put the time in now in order to reap the rewards later. One of the most common concerns voiced by management is the the 20% off-the-job rule. This dictates that apprentices will need to spend 20% of their time ‘off-the-job’, i.e. not directly working on their daily role. Most businesses can see this being applicable to new starts, but not to current employees taking an apprenticeship. But, there are ways to make this work. Sneath says: “Apprentices are measured internally not only on their performance in their roles but also on completing off-the-job training and their commitment to this element of their apprenticeship. and learning in the workplace. Apprentices are studying for qualifications on the very pulse of their roles and industries, making them one of the most valuable connections your company has to current trends, concerns and best practice. better. In fact, this aspect of apprenticeships can be used as a major tool for implementing or reinforcing a culture of learning in the workplace, as Rankin explains: “We are looking at how we demonstrate job shadowing and mentoring sessions which form an important part of our development programmes.” Explain to management that apprentices don’t have to physically be away from your office for 20% of the time. They can use this time to study for their qualification, for job-shadowing and to promote active learning within their teams. Plus, apprentices will be putting the skills they are learning into their roles immediately, so the company will be able to benefit from their training straight away. So far, we’ve been discussing what L&D teams can do internally to make the best of the levy and apprenticeships. However, a significant success factor rests on the training provider selected to deliver the apprentice’s off-the-job training. Talk to approved training providers to find the best partnership for your company. They’ve been through a rigorous process to get on the approved provider list and will be able to work with you to see how they can offer training that meets the requirements of the levy, the apprenticeship standard you want to deliver, and the specific needs of your company. Some will even help you manage the levy funds and source the right apprentices. Although it’s been around for some time now, the levy is still in its infancy in terms of what it could do for the country’s employment and education sectors. While initial progress is slow, the U.K. Government is trying to follow through on its apprenticeship reform and demonstrate confidence in the levy. Apprenticeships have yet to overhaul traditional routes to higher education and employment, but the country is waking up to their importance and L&D departments should be prepared. “Take the opportunity now to be prepared for the future,” says Thomas. The Natural History Museum, in partnership with training provider Square Mile Leadership (SML), has already utilised the levy for management development. If apprenticeships continue to grow and become established as important recruitment and education options, L&D departments will need to evolve with and embrace them. Apprenticeships can open doors for new learning cultures and development programmes, demonstrating the vital importance of L&D initiatives. But time is needed to make it work. The levy should not be taken lightly. For many companies, it brings a huge source of funding that, if spent well, could help them expand and thrive. L&D leaders should invest real time in assessing the opportunities the levy could bring to their company, working with management, employees and training providers to identify the best possible ways to invest funds. throughout your organisation. If you want to make the levy work for you, you have to work for it too. This article is part of the U.K. L&D Report 2018: Benchmark Your Workplace Learning Strategy. 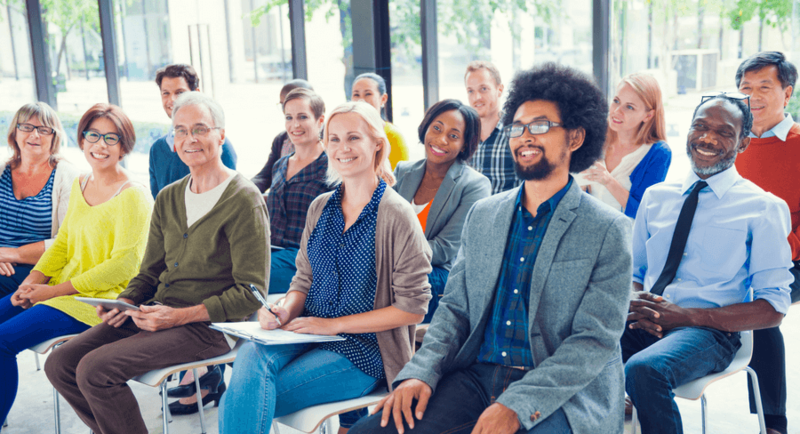 With the Apprenticeship Levy coming into effect in April, Findcourses asked UK employers how they are feeling about - and preparing for the initiative. Take a look at the results.